Here to show you why we fell in love with the area and to make you love it as much as we do! 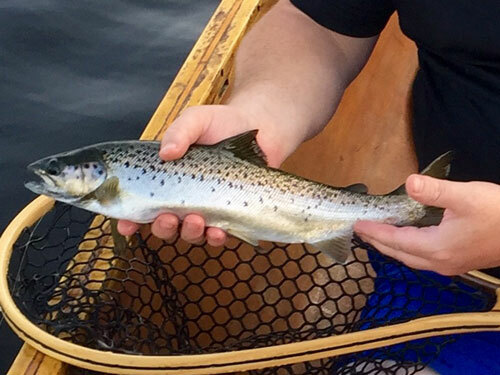 Located within minutes of the best fishing found in Maine, the nearby rivers and streams provide excellent fishing for Brook Trout and Landlocked Salmon, with Smallmouth Bass fishing in warmer waters. 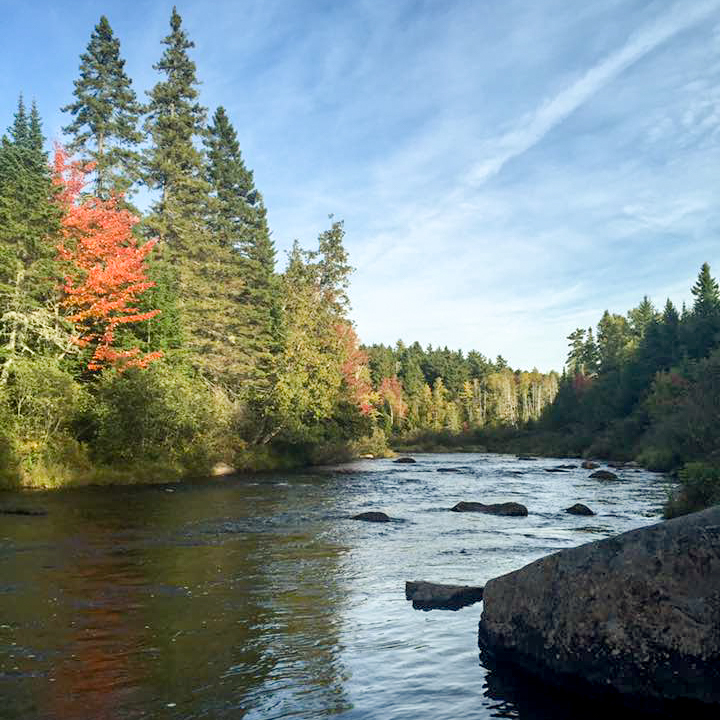 Trout and Salmon fishing is primarily done on the East Outlet of Kennebec River. 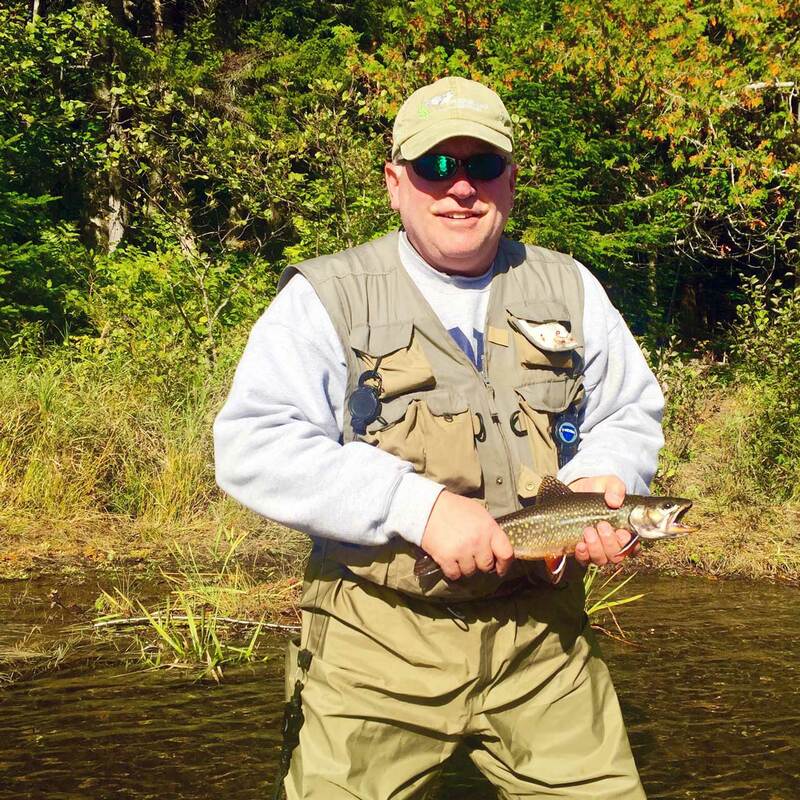 This river offers excellent fly-fishing and regularly produces Brook Trout over 15” and Salmon over 20”. A fly-fisherman’s dream!! 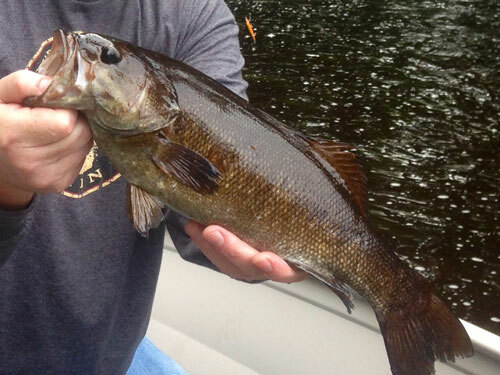 The West Outlet of the Kennebec offers Smallmouth Bass fishing and the occassional Brook Trout. This is an easy flowing river and suitable for families or beginners. Drift boat fishing offers a comfortable and enjoyable fishing experience, allowing you to reach waters that couldn’t be fished by wading. 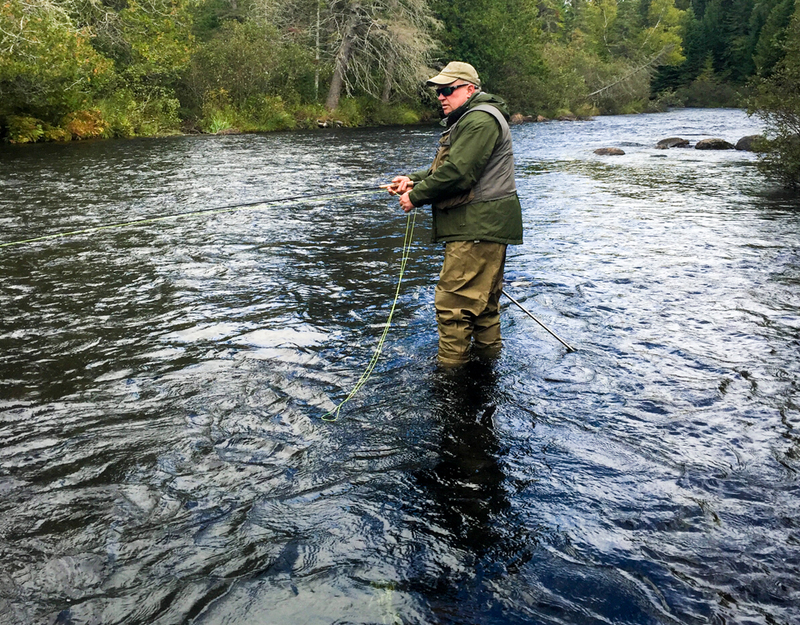 Many of the rivers we fish have heavy current, large boulders and many deep holes making wading difficult. The drift boat allows us to put you in the best possible position to fish these areas. With ample room for extra gear and comfortable seats our boat provides a very stable platform to cast from. We use our drift boat to fish the East Outlet of the Kennebec River and the West Branch of the Penobscot. Throughout your float trip, we often stop, allowing you to get out and stretch your legs and give those productive spots a second look at your fly. 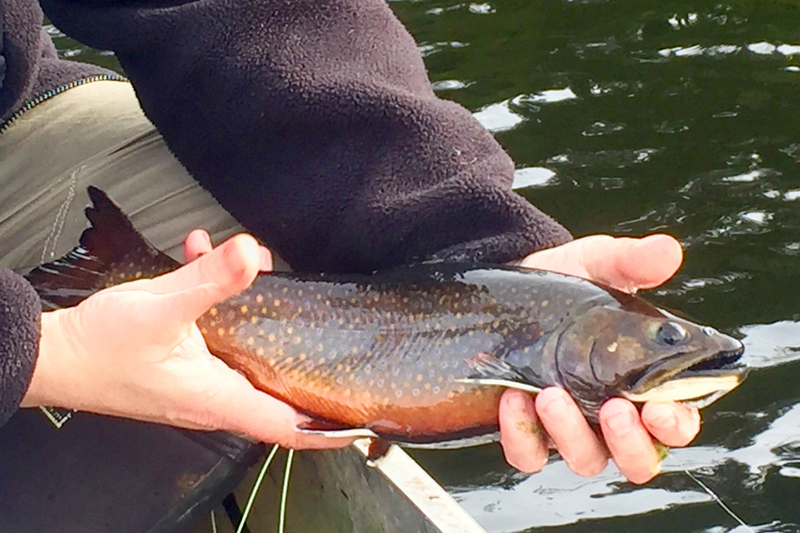 The Moosehead region and western Maine Mountains are dotted with dozens of remote trout ponds, with thriving native Brook Trout populations. These small ponds have spectacular evening hatches starting in late May through July, and are very productive with dry flies. Most notable is the Green Drake hatch, usually in early July. Early in the season, shortly after ice out, fishing with streamers and nymphs is also very effective. Access to these remote ponds can be challenging, often requiring a 4-wheel drive vehicle and a short hike. Float tubes or a canoe is a must, as fishing from shore is nearly impossible. 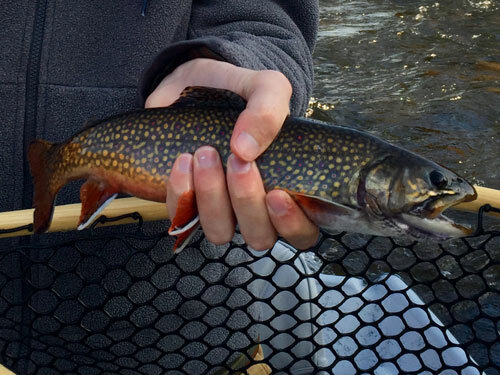 Miles of cold, clear streams make excellent fly-fishing for Brook Trout and Landlocked Salmon. 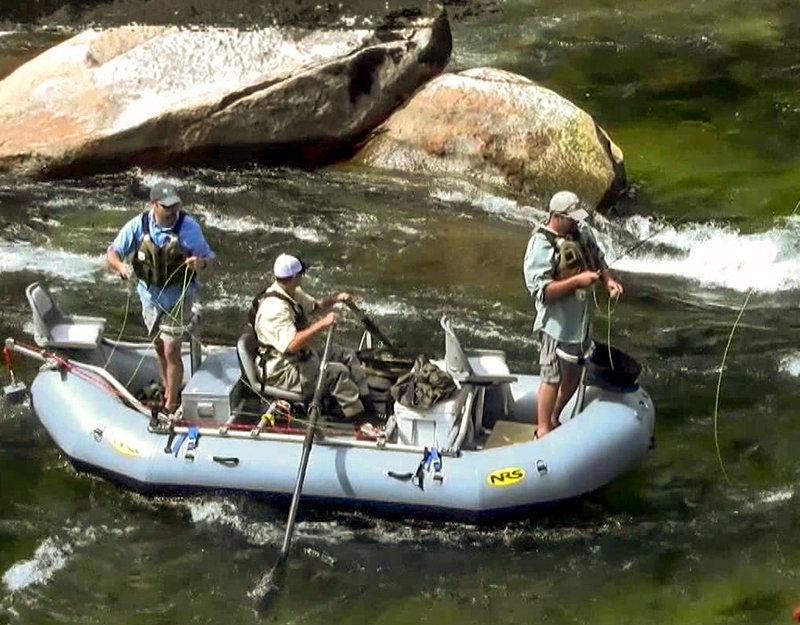 Whether you enjoy wading or fishing from a drift boat, this is a fly-fisherman’s dream. Dozens of remote ponds in the surrounding area with native Brook Trout. Great evening hatches. Whether you are new to the sport, beginner with limited experience or a trophy fisherman, we have a fishing package for you. 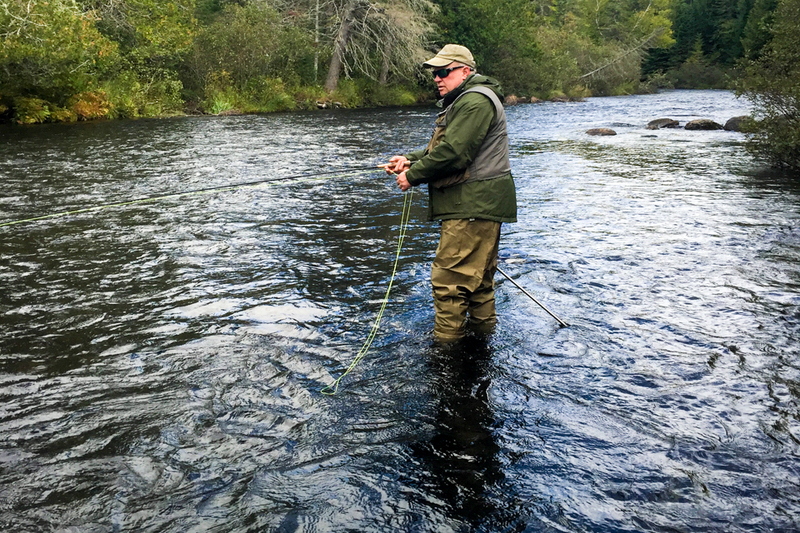 Have you always wanted to try fly-fishing but don’t know where to start? Maybe you’re just beginning and would like to learn more. Let us help with our beginner fly-fishing instruction packages. 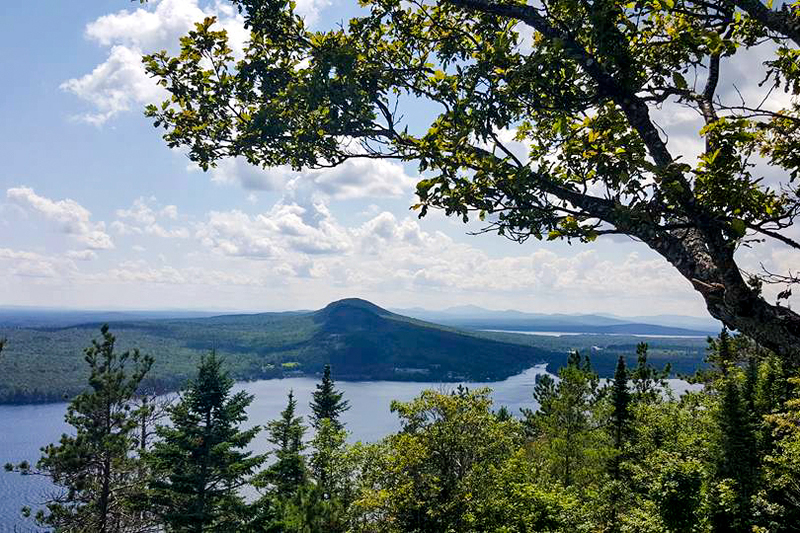 Moosehead Lake is the largest lake in the state of Maine, covering more than 75,000 acres and nearly 40 miles in length. 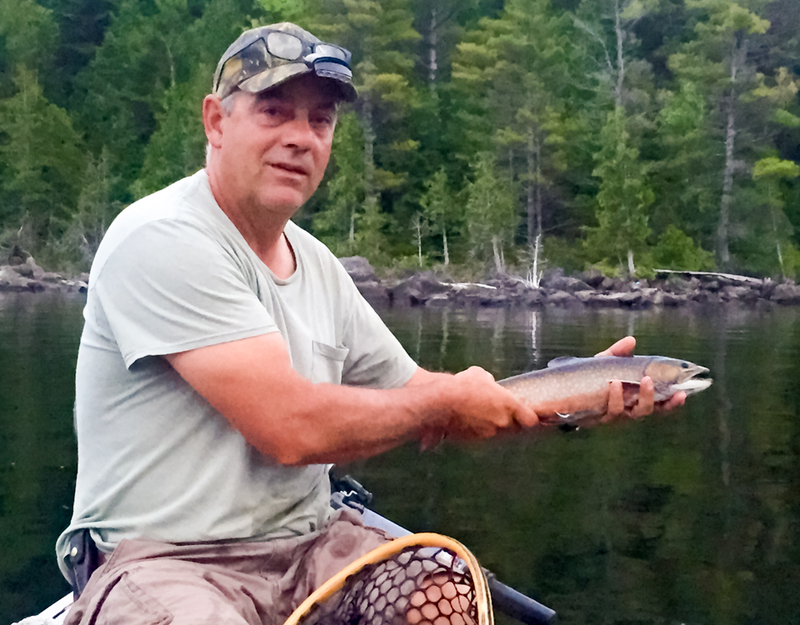 The lake and miles of cold-water tributaries provide fanatastic fishing for trout and salmon. Nearby there are over 40 trout ponds within an hour’s drive of Greenville. Some of the ponds being so remote that they rarely if ever get fished. These remote ponds are a fly-fisherman’s dream. If you are willing to put the time and effort in to getting here, I will do what is possible to put you in front of trophy fish.